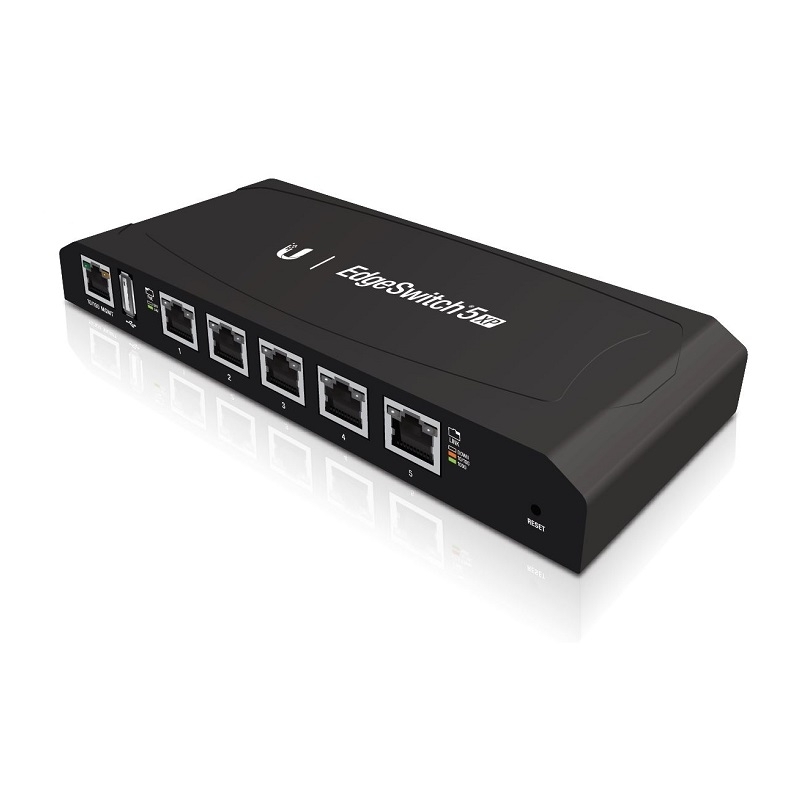 Introducing the Advanced Power over Ethernet Switches, EdgeSwitch™ XP from Ubiquiti Networks. 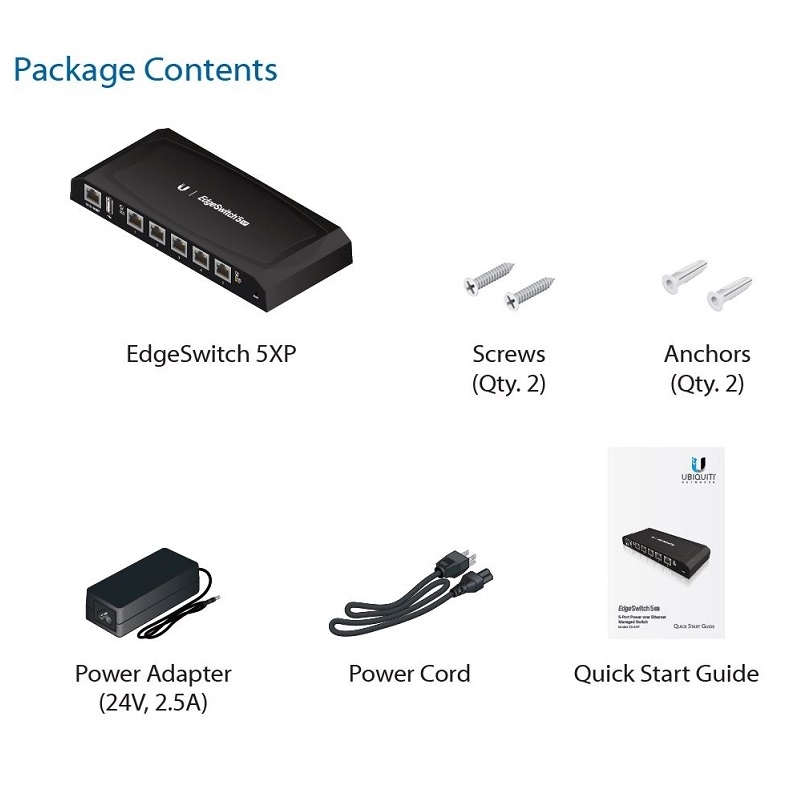 EdgeSwitch XP delivers reliable passive PoE and fast 10/100/1000 Mbps connectivity to attached Ubiquiti devices and other devices that support passive PoE. • EdgeSwitch 5XP is a cost‑effective, 5-port Gigabit switch with 24V PoE support. • EdgeSwitch 8XP is an industrialstrength, 8-port Gigabit switch with 150 watts of power capable of powering 24V or 48V devices (Output voltage is controlled by the software). • EdgeSwitch 16XP features dual EdgeSwitch 8XP systems in a rack‑mountable, 1U form factor with 300 watts of power supporting up to 16 devices. EdgeSwitch XP deployments increase efficiency and greatly reduce potential failure points – resulting in faster installations and less maintenance and troubleshooting. EdgeSwitch XP provides a user‑friendly configuration interface designed for efficient setup and control. Accessed via a secured management port and web browser, the EdgeSwitch XP Configuration Interface provides intuitive management with a virtual view of the ports, showing physical connectivity, speed, and PoE status.